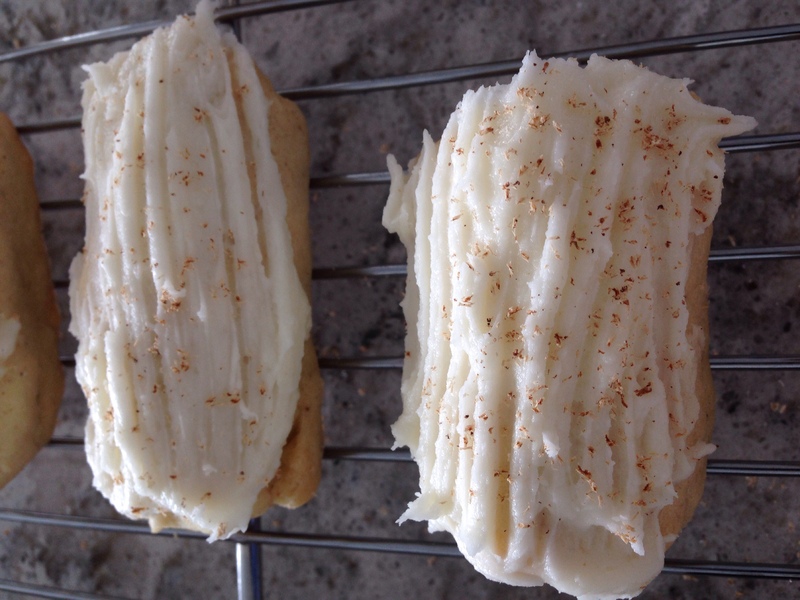 These are similar to a sugar cookie but shaped like logs with a distinctive nutmeg flavour. 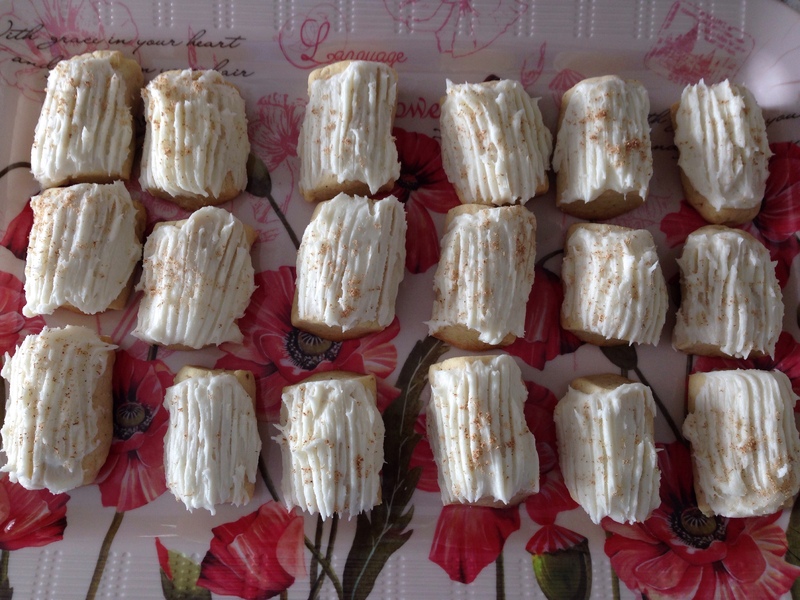 The icing makes them a bit more special. These cookies are nice anytime, but they would be a good cookie to add the a Christmas repertoire as well. Cream the sugar and butter until fluffy. Add the egg and rum (or vanilla) and beat well. Add the salt and nutmeg to the flour and add to the butter in two additions. 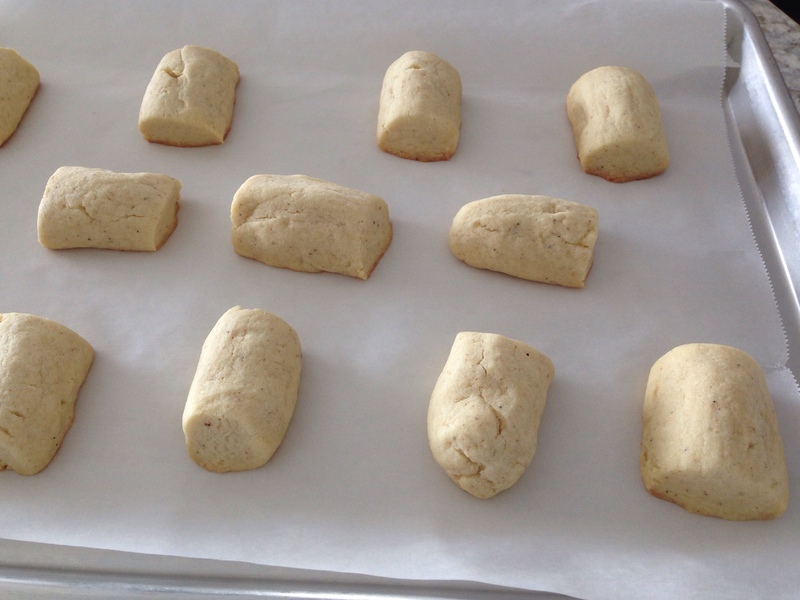 Form the dough into three logs and cut into 1-2 inch pieces. Place on parchment-covered baking sheet and bat at 350 degrees F. for 12-15 minutes. When the bottoms are slightly brown, they are done. Beat the butter, then add sugar, vanilla and milk to make a spreadable icing texture. Spread on top of cookies then make bark design by pressing down with a fork. Grate or sprinkle nutmeg on top. That’s great! If you’re a nutmeg fan, I think you’ll like these for sure.